Today we’d like to discuss a build that incorporates the new and improved longbow, entirely redesigned for Closed Beta. It offers a very versatile playstyle with both, excellent sustained damage as well as CC (crowd control). If you prefer playing ranged archetypes, this build may be just the one for you. A proper longbow build is capable of dishing out ridiculous amounts of AoE (area of effect) damage with constant pace. Although the longbow genuinely shines in large-scale battles where they can demonstrate some of the highest AoE pressure in the game, the weapon is also effective in smaller scale fights and GvGs (guild versus guild battles). Before getting into the ins and outs of performing well with the build, first let’s dive into our choice of armor and weapon. Utilizing a Medium Plate Helmet along with light armor offers us the necessary damage output, cooldown reduction and damage mitigation to make this a well-rounded build that is a challenge to take down. Although your resistances are relatively low, this is less of a concern because the build offers a slippery playstyle through both your armor and weapon skills. 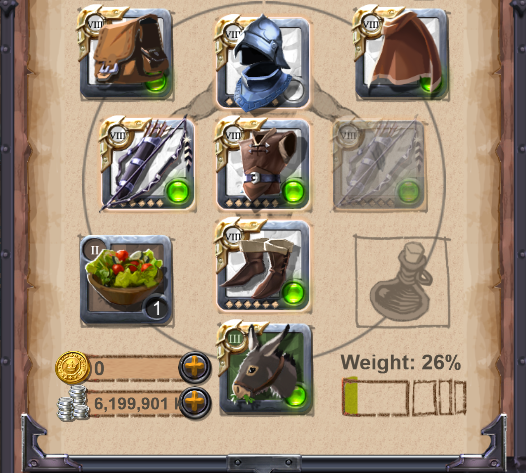 Let’s take a look at the skill choices that we will forge onto our gear. For most activities in-game, our choice of helmet skill for this build would be Meditation – a skill that reduces all currently active cooldowns by 10 seconds. This is an integral part of this build, as it offers you the ability to double-down on your longbow AoE damage almost immediately. It also shaves 10 seconds off of all your other cooldowns as well, meaning more sprints, more mobility and more damage. Although Meditation is preferential for most fights, the Medium Plate Helmet offers great versatility in its skill options. Both Defenseless Rush and Unstoppable can find their niche usages as well. Defenseless Rush is a skill that increases your movement speed by 72% for 5 seconds, while Unstoppable offers you a CC break as well as 5 seconds of immunity to any crowd control during its duration. In the open world Defenseless Rush is generally a favorite for more mobility and Unstoppable is a great tool for large-scale battle in case you need to escape getting locked down by crowd control. Similar to our helmet skill, the choice we make for our chest is also debatable. It depends pretty heavily on what activities you are engaging in, however in most cases you can’t go wrong with Ice Block as your main choice. Ice Block provides you with a short duration of invulnerability, which can quickly turn the tides of a fight when used properly. An effective use of Ice Block is baiting your enemy into using a high damage skill and immediately using Ice Block before you are hit by any damage. This way, your enemy has their high damage skill on cooldown, and you’ve taken no damage. Now the cards are in your favor. Another option for your choice of chest skill besides Ice Block would be Blink – providing you with a short distance teleport that is typically used as a gap closer or for disengaging from a fight. Blink is arguably the better of the two options for open world activities since mobility is often king in the open world, however, in small scale fights, your longbow and meditation cooldown reduction offers you enough mobility that blink isn’t very necessary. The passive we will want to take on our chest is Aggression, which increases your damage output by 10%. This is probably the most important passive to take out of all of your gear, as it provides a much needed boost in damage to maximize your AoE damage output. A personal preference of skill in this build is Refreshing Sprint – giving you an increased movement speed of 96% over a course of 3 seconds. 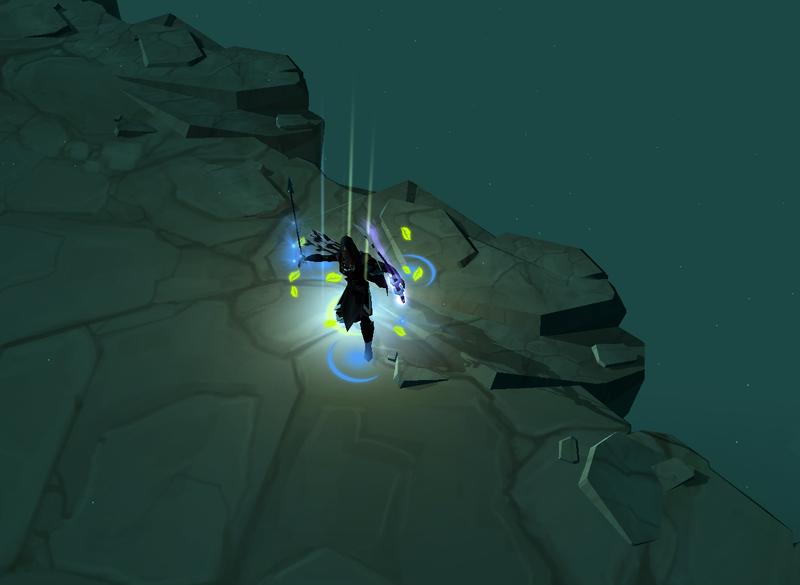 What differentiates Refreshing Sprint from other sprint options is that it also reduces your cooldowns by a few seconds, allowing for an even more engaging playstyle with the Longbow (more details discussed later). If you find yourself running into energy issues while using meditation to double-cast your skills, then Energetic Sprint is also a viable choice of skill for your shoes. Energetic Sprint provides you with energy regeneration that covers the total cost of your sprint. Since our prime goal in this build is to maximize our AoE damage output to apply as much pressure as possible on our enemies, the passive we will take here is a given; once again, Aggression. In this case, Aggression will offer us a 5% damage boost on our shoes which is slightly less than what our chest offers, but just as important to pick up. In order to acquire the ability to use a longbow, as expected, you’ll want to follow your archery path on the destiny board. After you master your Adept’s Bow, you’ll want to then unlock your Adept’s Warbow, and master that as well. When you’ve reached this point, you’ll then be able to unlock your illustrious Longbow. As mentioned in the first couple paragraphs, the Longbow is a weapon that is rather versatile in what it provides to a group composition. It offers exemplary AoE damage through all of its skills and also offers strong crowd control that certainly has impact on the outcome of a battle. Let’s briefly discuss the skill options available to us on the Longbow, and which three skills and passive will optimize our role in this build. Multi, Poison or Deadly Shot? While both Poison and Deadly shot offer decent single target damage, a personal preference out of these three skill options is Multi-Shot – providing you with a frontal cone AoE that also does effective sustain damage. The fact that Multi-Shot is also instant-cast only adds to the reasons why it works so well with this build. 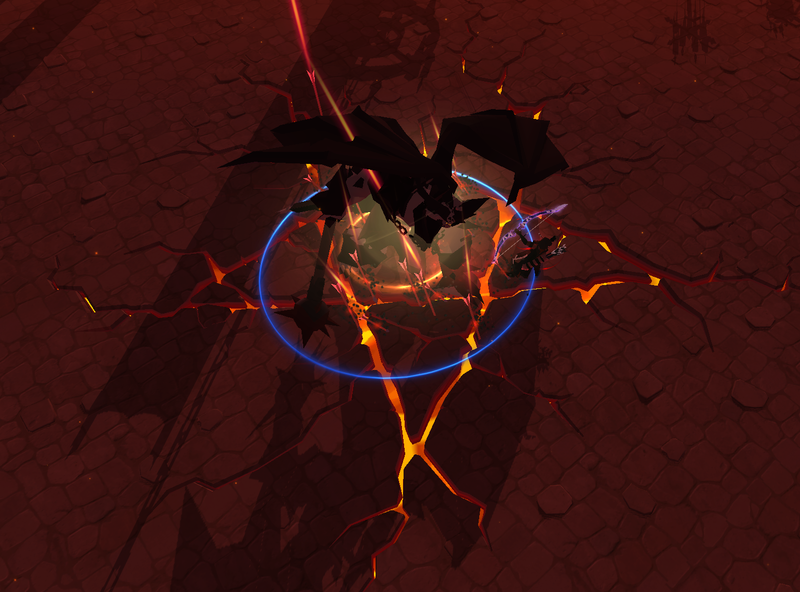 It is one of the most compelling skills as far as kiting enemies is concerned. An interesting synergy is also possible between Multi-Shot and Refreshing Sprint. Since Multi-Shot is on a relatively short cooldown (3 seconds), you can use refreshing sprints cooldown reduction to essentially reset Multi-Shot several times, and get some extra instant AoE damage down. Frost Shot, Speed Shot or Explosive Arrows? All three skill options here are actually viable in their own right. Speed Shot is a really strong skill for kiting melee players. Explosive Arrows increases your damage output, and even offers some additional AoE damage. However, the most optimal skill choice for this build is probably Frost Shot. Frost shot is one of the most versatile skills in the game. It causes you to leap back several meters, slightly damaging the enemy, while also slowing them by 40% for a considerable duration. What is important here is that Frost Shot is also an AoE skill, meaning that slow can potentially be applied to multiple enemies. The skill also serves as an excellent method of escape (similar to blink), allowing you to jump out of roots and avoid enemy focus. Overall, probably the best choice for most activities in the game with this build. Rain of Arrows is the bread and butter behind the importance of the Longbow. It is a skill that channels a massive volley of arrows, doing heavy AoE damage while also slowing any enemies hit by 23%. It functions as a ground target skill, so you have complete control over where and when the skill lands. The playstyle that this build offers is truly up to the imagination of the player. Timing your Frost Shots to either slow enemies or escape crowd control is imperative, while providing constant AoE pressure with Multi-Shot is also important. All in all, landing well-timed Rain of Arrow casts is surely the most important aspect of the build. A rather effective combo in damaging your enemy as well as keeping them crowd controlled would start with a sprint towards your enemy, followed by Frost-Shot directly on them. Now that they’re slowed and you are a distance away from them, you can follow up with Rain of Arrows to stack even more slows on them. This will ensure that the entire Rain of Arrows cast will land. The more damage received from Rain of Arrows, the more devastating it will be for your enemy to recover. Pros: The pros are clear. You offer some of the highest AoE damage for your group, as well as well-needed crowd control that can lock enemies down and secure kills. Some might argue that alongside Glacial Staves, Longbow users are nearly a necessity to guarantee victory in open world contest. Cons: A notable con is that the build doesn’t offer very high single target damage, and is more AoE focused. With that being said, you can fall victim to high single target ranged damage from weapons such as Crossbows and Cursed Staves and it’s probably best to avoid these fights in 1 vs 1 scenarios. Longbow is very much a team oriented weapon. With Rain of Arrows at your disposal, enemy healers won’t even have a chance to react before your enemies are dropping like flies. Grab your longbow, head out on the battle field and rain chaos down upon your opposition. Share your thoughts on this build on our forums.